Dennis Rodman received an open letter from a human rights activist and former North Korean prisoner revealing the chilling nature of his new “friend” Kim Jong Un. Shin Dong-hyuk wrote to Rodman about Camp 14, the labor camp where he was born and witnessed the execution of his mother as a lesson to other prisoners. He told Rodman he could see satellite images of Camp 14, if he looked it up on his “smartphone.” Images released by Amnesty International in May show these camps are expanding. Born in 1982, Dong-hyuk escaped in 2005. "I happen to be about the same age as your friend Kim Jong Un. But if you ask him about me, he is likely to refer to me as &apos;human scum.&apos; That is how his state-controlled press refers to me and all other North Koreans who have risked death by fleeing the country," he wrote. "Your friend probably also will deny that Camp 14 exists, which is the official position of his government. If he does, you can show him pictures of it on your phone." Rodman is currently visiting North Korea again. 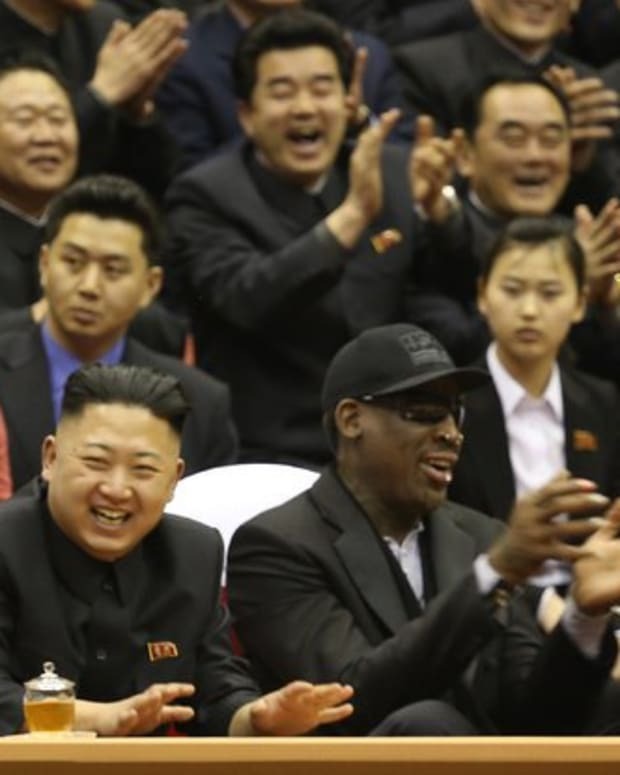 On Friday, Rodman held basketball tryouts for a North Korean team to face a dozen NBA veterans in an exhibition game scheduled for Jong Un&apos;s birthday. “Mr. 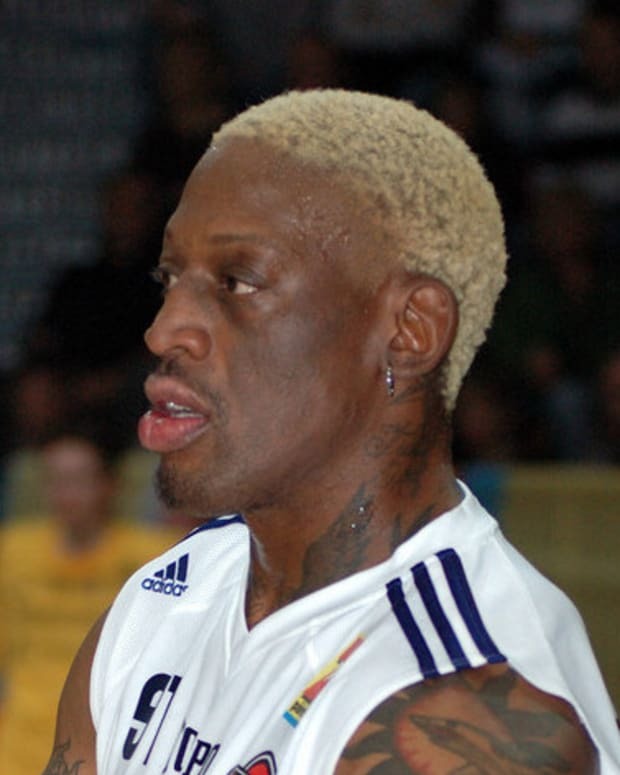 Rodman, I cannot presume to tell you to cancel your trip to North Korea. It is your right as an American to travel wherever you wish and to say whatever you want,” he added. Dong-hyuk criticized the luxury with which Kim Jong Un wined and dined Rodman during his prior visit to Pyongyang. “The U.N. World Food Programme says four out of five North Koreans are hungry. Severe malnutrition has stunted and cognitively impaired hundreds of thousands of children. Young North Korean women fleeing the country in search of food are often sold into human-trafficking rings in China and beyond,” he wrote. Satellite images of the prisons show that new blocks are being added. The Washington-based Committee for Human Rights in North Korea reported in September that thousands of prisoners may have been killed when Camp 22 in North Hamyong province was closed in 2011. Dong-hyuk is the only person known to have escaped the “total-control zone” grade internment camp and lived to tell the tale. Author Blaine Harden wrote his biography, “Escape from Camp 14,” which was released last spring.